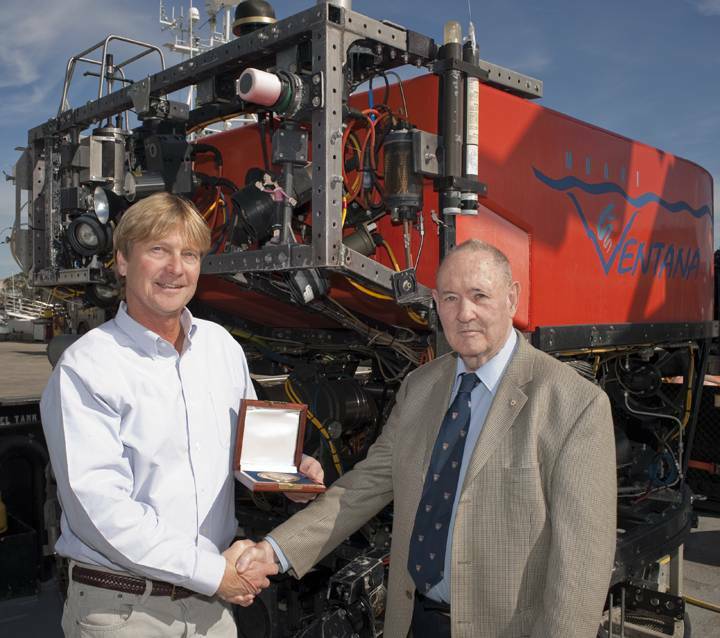 On November 6, 2013 Dr. James R. McFarlane, President, International Submarine Engineering Ltd was honored with this year’s David Packard Distinguished Lecturer award from the Monterey Bay Aquarium Institute (MBARI). McFarlane contributed to MBARI's formative years as a critical advisor to David Packard and as a participant in several engineering reviews. Research Chair Bruce Robison remarked, "Jim McFarlane is a gifted, innovative engineer with an outstanding track record of designing and building undersea vehicles." 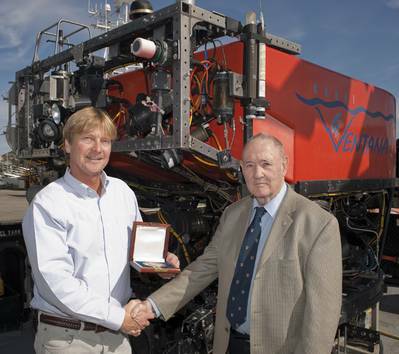 McFarlane delivered a lecture at MBARI titled "Genesis and metamorphosis of underwater work capability," reviewing different submersible vehicle designs and components that make them operate optimally.